As the 99Damage League in the German speaking countries is starting this week, it’s finally time to announce that we have picked up two Counter Strike: Global Offensive teams that will represent us from now on. Our CS Team grouped together under the name Klickar back in 2016, with some players knowing each other long before that. In 2018 we decided to compete in the 99Damage League Season 8 because we were tired of Matchmaking and casual gaming in general. As we didn’t have much experience, casual teamplay and few training sessions, we only placed 3rd in our starter division. For the next season we started improving massively to match our opponents by working on our teamplay and adding Wicket as a new player. Together we managed to place 1st in the 5th division of season 10 and ranked up to 4th. Starting from this season we will represent Quixz eSports as their main Counterstrike: Global Offensive team and are not afraid to take the next challenge. 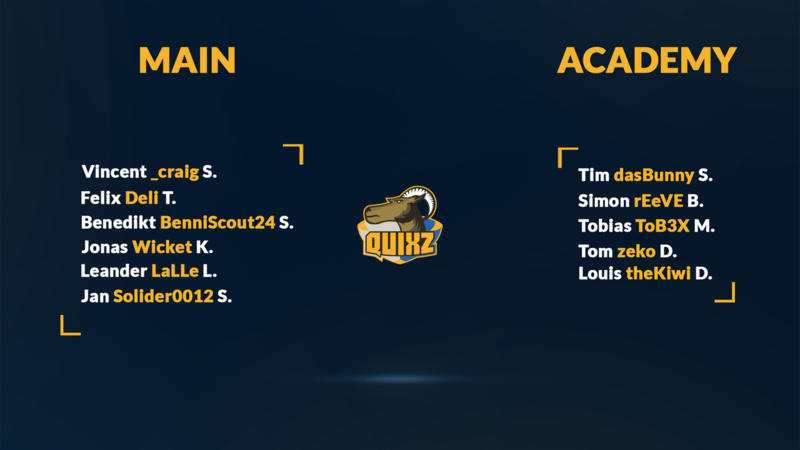 The roster of our main team and academy team. Having played multiple seasons with different teams already, the players in our academy team are no strangers to competitive CS and the 99Damage league either. They will however need to fight their way through the starter division, since they did not compete with the same core last season. They are a group of friends who together wanted to have another shot at competitive Counter Strike, after multiple failed attempts with other teams. Long term they want to take the same path our main team took, and compete in multiple leagues, in higher divisions as well. Quixz now participates in 3 leagues, with one weekly match each. This means that there will be 3 weekly matches with additional cups and qualifiers where our teams will take part. Our social media team will do their best to cover these games mostly on Twitter, but we are working on casts and livestreams for the future. Highlights from all matches will be posted on Youtube whenever possible. 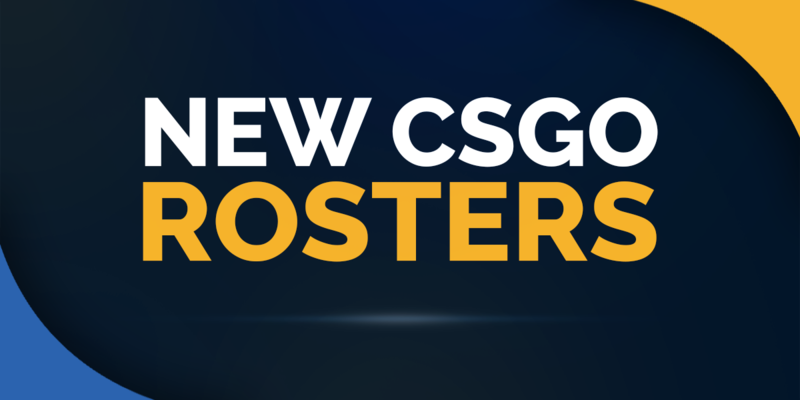 We are looking forward to the upcoming matches, and wish both our rosters the best of luck!